This course explores the concepts of professional learning communities (PLC) and how to make them work. It reviews the history of school reform and the complexity of instructional change. A new model for PLC is presented with the mission, vision, values and goals to implement PLC in schools. 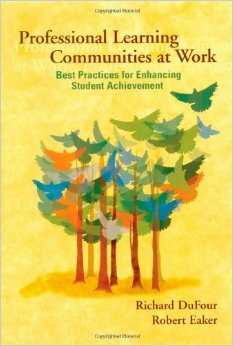 The book provides researched-based information to transform a school into a PLC where all students can succeed. It provides best practices for school change, improvement and working collaboratively to design curriculum and effective staff development for PLC schools. Educators will research PLC and develop a application essay, lesson/unit plan or project activity. Educators will review the historical dynamics of "school reform" and the complexity of change involved in reforming the institution of public education. Participants will be presented with a foundation for developing a professional learning community, a mission and vision as well as the values and goals for the new PLC. Educators will examine embedding change in the school culture while sustaining the school improvement process to facilitate the professional learning community at work. Participants will explore the curriculums focus and how each of the roles: teachers, principal, students, and parents all contribute to the total PLC concept. Educators will then research the topic of PLC and combine the information in the book and their personal teaching experiences and develop a PLC application essay or unit plan for classroom or school implementation.